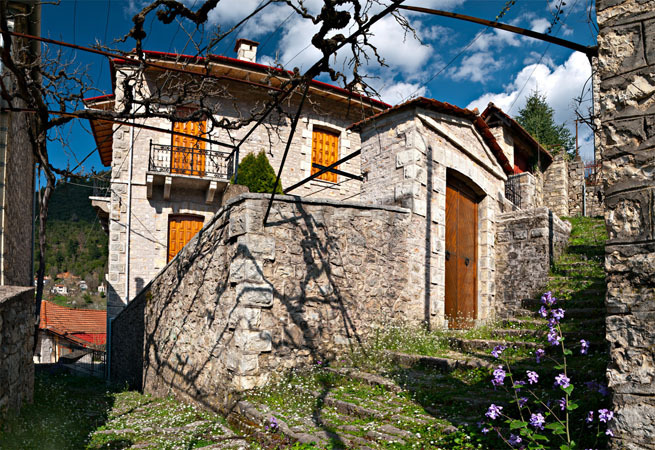 Near Mikro Chorio and between the hillsides of Kaliakouda, you will find Megalo Chorio. This village is famous for its stone houses, the narrow alleys, the smoking chimneys and the discreet touristic development that has not altered its picturesque characteur. Just outside the village there is a road that leads up to the mountain and in the canyon of “Pantavrechei” (the name means 'raining constantly'). oghi. 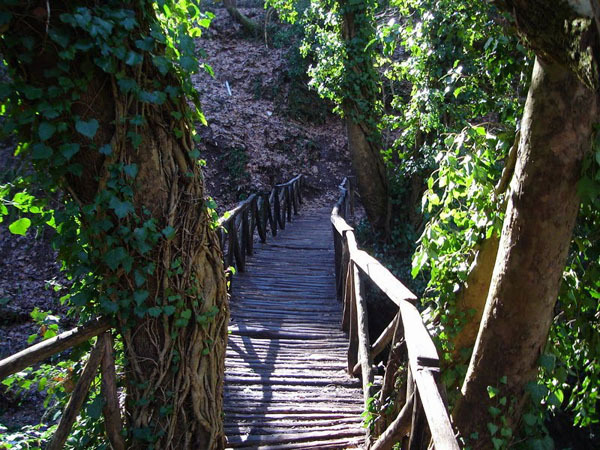 In the village you will find a path that can take you to Kefalovriso through a route full of platanus and flowing waters. You can visit the folklore museum of Megalo Chorio and get to know the tradition through the stories narrated by the locals.